The University of Florida College of Medicine is committed to a mission of excellence in medical education, research and patient care. 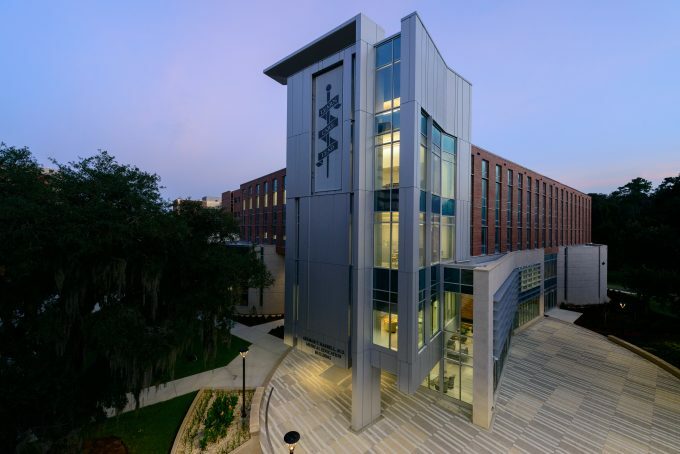 Founded in 1956, the UF College of Medicine encompasses 28 clinical and basic science departments staffed by 1,240 full-time faculty members on the Gainesville campus. The University of Florida College of Medicine broke ground Nov. 22, 2013 for the George T. Harrell, M.D., Medical Education Building. Today it is the university’s home for medical students and physician assistant students. Watch the debut of the Medical Education Building, including a time lapse of the real-time building construction. University of Florida Health is ramping up its new thoracic and vascular intensive care unit, which surgeons say will benefit lung transplant and other pulmonary patients. Learn how UF Health researchers will benefit from renovated high-tech lab spaces at the McKnight Brain Institute.